Hungary is situated in the Carpathian Basin, and is bordered by Slovakia to the north, Romania to the east, Serbia to the south, Croatia to the southwest, Slovenia to the west, Austria to the northwest, and Ukraine to the northeast. Hungary is a landlocked country, although has access to several seaports via the Danube and its waterway connections (ie. Rotterdam, Constanza). Budapest Liszt Ferenc International Airport. 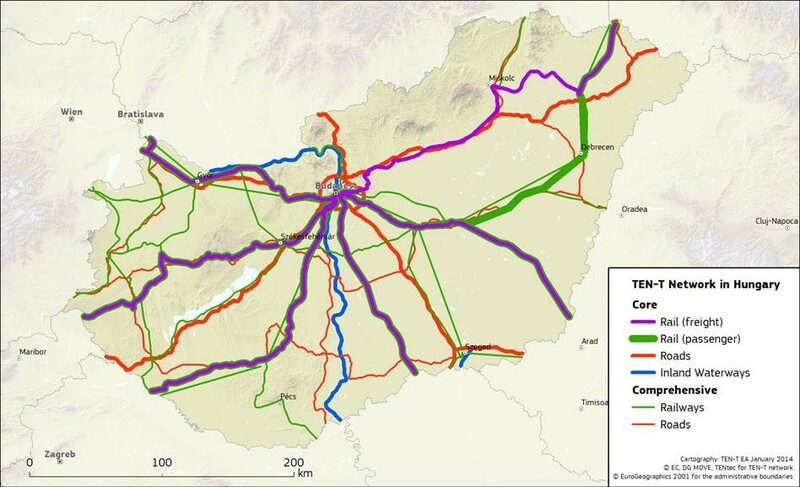 Hungary also has a long TEN-T comprehensive network. Hungary is not a coastal state, and therefore has no seaport. Danube is most significant waterway In Hungary, the whole international waterway transport is realized on its fairway. IWT ‘s share in international transport is solidly around 5% [tkm] in Hungary, while transit averages around 3 million tons per year. 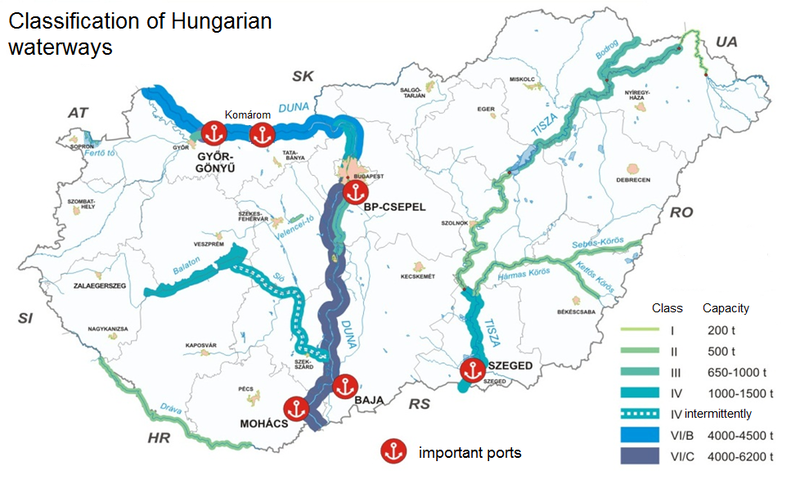 Danube has the most significant role in the Hungarian IWT sector, due to its length, navigation capacity, port infrastructure and interconnections with sea ports. Tisza river became international waterway on the 12th July, 2017., when Serbia ratified the intergovernmental agreement on the Navigation of the Tisza River. Since then the navigation on Tisza River is free and open for vessels of all countries, regardless of the vessel’s flag. The agreement extends to the waterway of the river Tisza that stretches from Tokaj to its confluence. Hopefully the elimination of the administrative barriers will contribute to the increase of IWT on Tisza river.